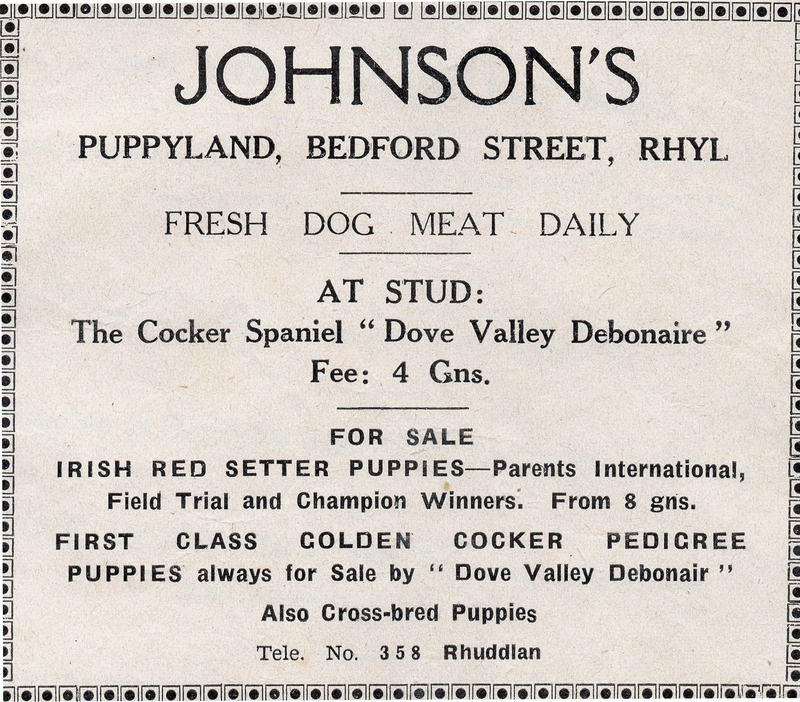 The Rhyl Canine Society was started in 1945 and by 1947 had already staged seven shows, each one a greater success than the last. 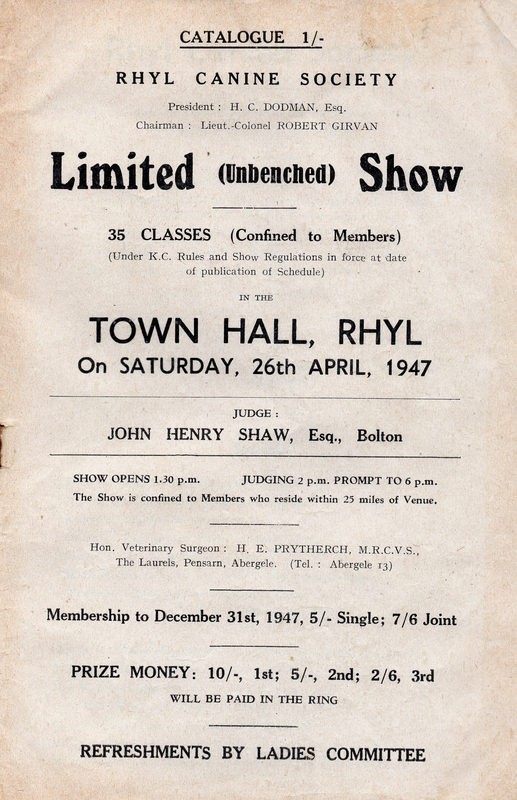 An account of the show was reported in The Rhyl Journal stating that the Chairman, Lt. Col. Robert Girvan of Prestatyn considered that the Society’s shows were the best patronised in North Wales. He said that the success was due in large measure to the excellent work of the committee, which comprised an extremely capable secretary in Mr Arthur Forber, an excellent show manager in Mr Cornelius Jones, and an outstanding ring steward in Mr W.H. Butler, nobly assisted by Mr Woolam. Col. Girvan also spoke of the magnificent work done by the ladies committee and thanked the donors of gifts offered for competition to aid the funds of the Society. Cups were won by entrants from Llandudno, Penrhyn Bay and Ewloe but the Society’s Cup for best puppy and the Wychland Shield for the best gun dog in the show were won by Mr. J.R.A. Rynn’s “Lenart Lola”, a pointer of Dalton, Islwyn Avenue, Rhyl. The M.H. 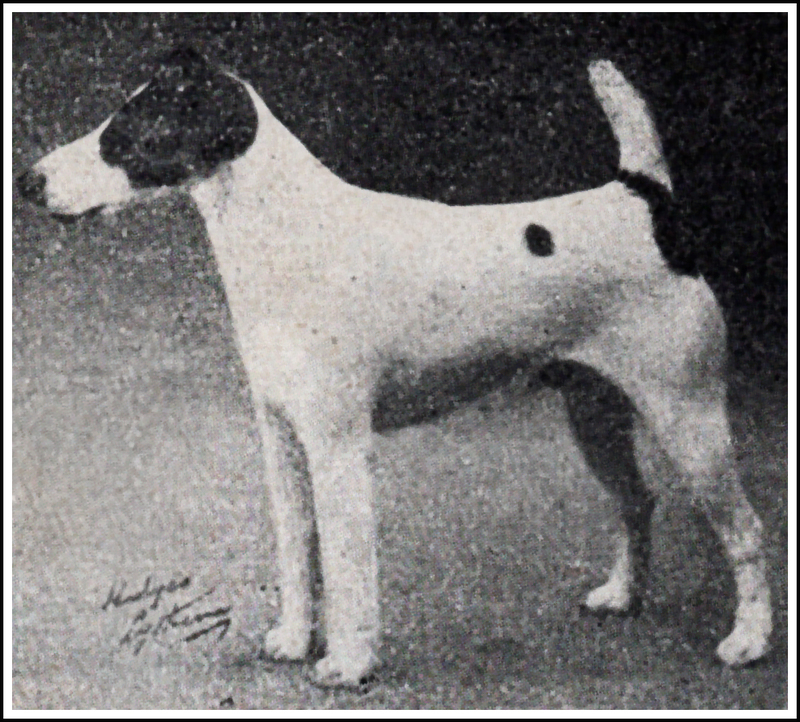 Hughes Cup for the best wire terrier puppy in the show was won by Mr Philip Thomas’ “Lynedoch Chorus Girl” of Sandstorm, Dyserth Road, Rhyl.